In November a dear friend of mine who I commonly refer to as “Sissy Amy” was given life changing news. Large cell neuroendocrine carcinoma. Otherwise known as a very rare and aggressive form of cervical cancer. Like, so rare only 1% of women will ever be diagnosed with this. 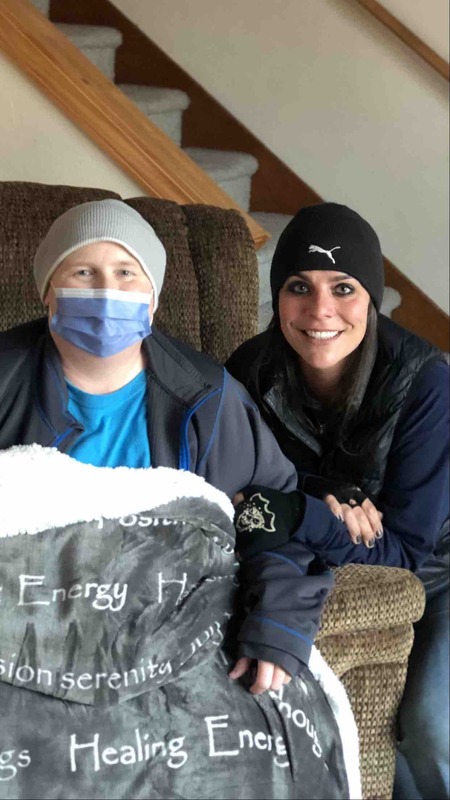 She hasn’t been able to work since the beginning of December when she started treatments that include 8 weeks of radiation (Monday through Friday), and chemotherapy. There is also the possibility of a hysterectomy. She is an aunt to 6 and a friend to many. She takes classes to someday become a pharmacy tech, and loves reading her Harry Potter series. She’s been a huge fan of Duran Duran for the last 35+ years, and is always able to tell me what is going on in the atmosphere when I text her telling her I’ve had a crap day. She says I’m a “moon child” and always gives me suggestions on how to improve my inner-well being. She is always there for a hug, a cry, a good laugh, or just a chat. I have always wanted to participate in St. Baldrick’s day, but have never been able to, or just never had enough nerve. While St. Baldrick’s focuses on childhood cancer, I’m doing a bit of a spin-off. I’d like to get this beautiful friend of mine some help paying her insane medical bills, while still donating to cancer research. So, in March I will shave my head to stand in solidarity with Amy while she quite literally fights for her life. 60% of what is donated will go to pay her bills, the other 40% will go towards cancer research. 20% of that will go towards childhood cancer research. We have all been affected by the “C” word in some form. Please know that whatever you choose to donate will be appreciated beyond measure. Thank you for helping Amy during the hardest time of her life. She is also accepting prayers or any form of positive vibes you have to throw at her. Thank you for your time and consideration!